Reed Scherer’s doctoral research set out to test a radical hypothesis put forth in the 1970s that the West Antarctic Ice Sheet “collapsed” during the interglacial period that immediately predated the most recent Ice Age, and could again. Confirming past instability of this ice sheet would contribute to growing concerns regarding future collapse and consequent global sea level rise in a CO2-enhanced greenhouse world. He will tell the tale of how tiny fossils provide clues of large-scale ice sheet variability and what it takes to obtain samples of the sediment that lies beneath half-mile thick ice. The presentation and Q&A take place from noon to 1 p.m. in the Capitol Room of the Holmes Student Center. Refreshments are served at 11:30 am. Scherer’s research – studying fossils of marine diatoms (single-celled algae) recovered from beneath the ice sheet – demonstrates that the ice sheet had indeed retreated before and therefore might again in a rapidly warming world. He and his students continue to use these fossils to reconstruct past climate change in Antarctica and around the world, providing insights into ice sheet and climate dynamics. 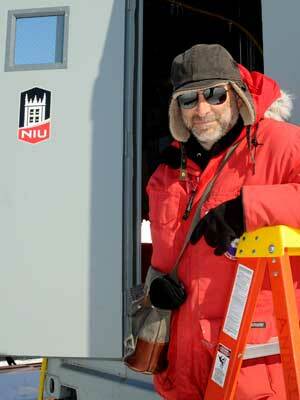 Scherer earned his Ph.D. in geosciences and paleontology at the Ohio State University and worked at a Swedish university before coming to NIU in 2000. 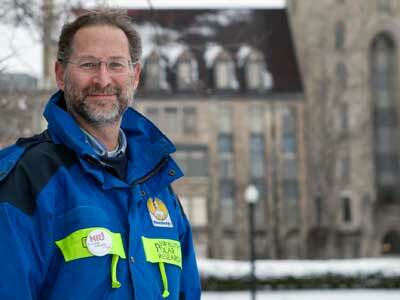 In 2009, he was named Presidential Research Professor and, in 2012, he became a Board of Trustees Professor. He led the effort to establish the Environmental Studies program and the Institute for the Study of the Environment, Sustainability and Energy, and teaches a wide range of courses to undergraduate and graduate students. He and his students continue to research the planet’s polar regions, and he encourages his students – undergrads and graduate students alike – to publish their research in prestigious scientific journals and make presentations at conferences around the world. Sponsors of the March 28 event are the Office of the Executive Vice President and Provost and the Faculty Development and Instructional Design Center. For more information, call (815) 753-0595 or email facdev@niu.edu.